... his own face enthralled him. Each angle of it induced a different impression. It was a changeling's face, and mirror-guided experiments had taught him how to ring the changes, how to look now ominous, now impish. . . 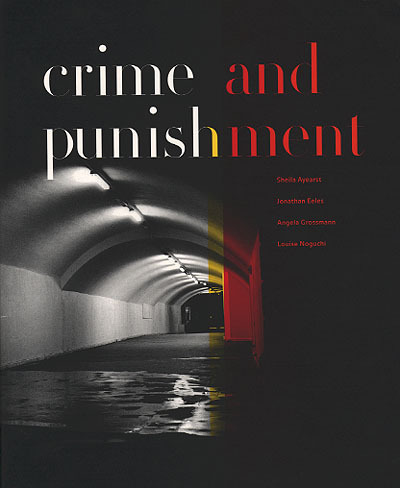 The following are excerpts from Jennifer Rudder's catalogue essay, "Crime and Punishment," for the exhibition of the same name at the Agnes Etherington Art Centre (20 March - 6 June, 1999), Queen's University, Kingston, Ontario, Canada. In her sculptural installation work from the 1980s, Louise Noguchi examined the relationship between the hunter and his prey. In some primitive cultures, she learned, the hunter would draw the images of the animal to be stalked in order to enter its spirit before the hunt. If Noguchi could identify herself as both the hunter and the hunted animal, then why not as criminal or murderer as well as victim? 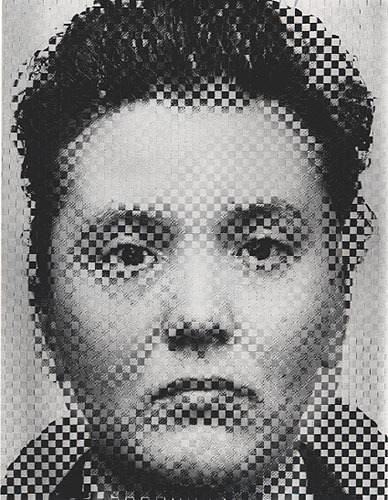 The artistic process of her recent work, the Compilation Portraits, involves having herself photographed professionally in the same pose as her chosen criminal or victim and then blowing up both images. 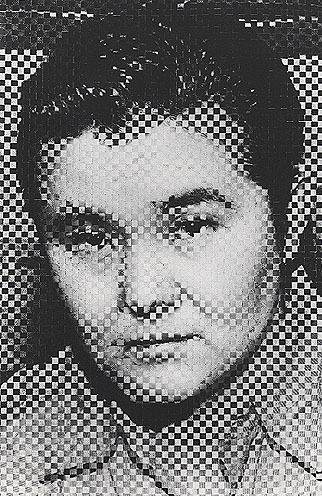 Noguchi cuts these photographs into strips and weaves the warp of her own image into the woof of the blown-up images of the police photo. 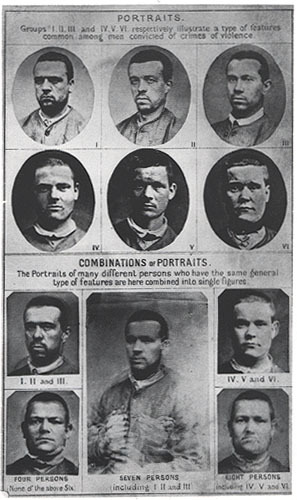 The resulting portraits are both eerie and unsettling, portraits in which gender, race, innocence, and culpability are blurred and confused. . . . In the process of weaving her face into that of another, Noguchi actually breaks down recognizable identity into fragments, concealing what is there and creating an unrecognizable pattern or image.